As marijuana slowly gets legalized medically in recreationally in various states, its use inevitably gets more prevalent in our society. And as we use and experiment with this substance, new modalities for consuming cannabis are being created and brought to light. While the age old way to ingest cannabis, smoking, is great for achieving many different effects, other ways of consuming the substance may be more proficient at achieving a certain effect. For example, if you want to get insanely high in a short period of time, the relatively new way to ingest cannabis, dabbing is probably the way to go. Or, if you’re looking for pain relief that will last all day, cannabis edibles might be the way to go. From vaping and smoking to edibles and tinctures, there are numerous different methods of ingesting the substance. However, one such method is not widely known or popularly used, cannabis topicals. 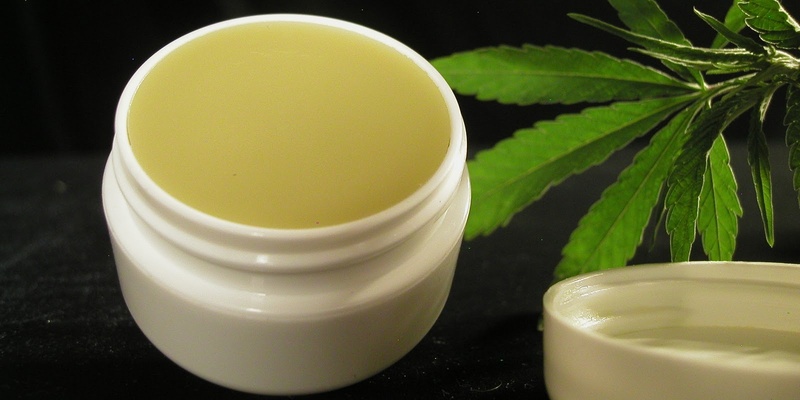 So just what are cannabis topicals? 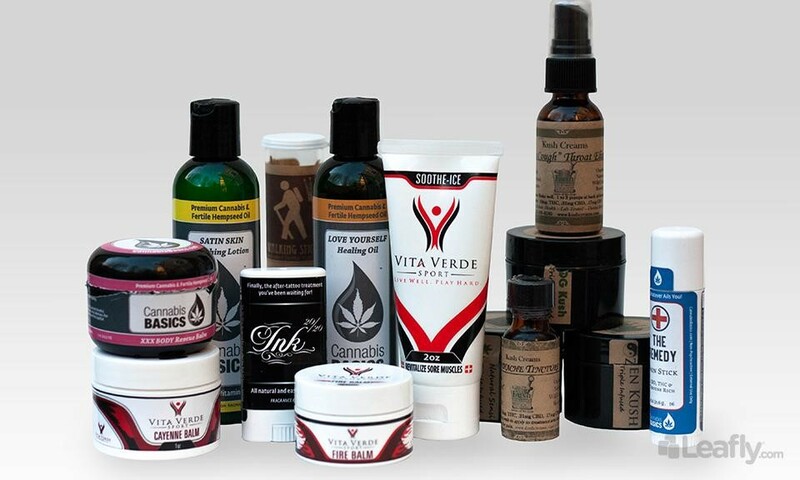 Essentially they are lotions, balms, and oils, (to name a few) that have been infused with cannabis. They are typically used for pain relief, treating burns, cuts, aches, soreness, and inflammation. Cannabis topicals are completely non-psychoactive, so they are ideal for patients who are looking for the medical benefits of the plant but don’t want to get high. So if you’re reading this article thinking you’re about to get messed up on some cannabis lotion, read no further! Many of the manufacturers of these topicals will use a single strain to create them, in an attempt to include specific terpenes and cannabinoids in the extract. In addition to this, essential oils such as wintergreen, lavender, and clove are sometimes added to the product for additional therapeutic effects. As your skin slowly absorbs whatever cannabis topical you are using, various cannabinoids will bind to the CB2 receptors that are found throughout the body. This activates those receptors providing a myriad of beneficial effects. It also seems worthy to note, that even if the topical contains THC (the main psychoactive compound in cannabis) you will not get high from it. This is due to the fact that most cannabis topicals simply cannot breach the bloodstream, they only reach the system of CB2 receptors. The only cannabis topical that can effectively deliver THC and other cannabinoids to the bloodstream are transdermal patches. While ingesting cannabis can certainly help to manage pain, cannabis topicals essentially provide localized pain management. Meaning, if there is a specific area of your body that hurts, such as back pain, knee pain, etc. you can simply apply it to that one area. For those with full body aches, you can get cannabis bath salts, or get a massage with cannabis infused oil. Due to the anti-inflammatory properties cannabis has, topicals are also often used to help heal burns faster, as much of the pain caused by burns is due to inflammation. While more research needs to be done on the subject, there have been many anecdotal reports stating that those with arthritis could benefit from cannabis topicals. Due to the fact that cannabis helps inflammation, and arthritis is an inflammation based ailment, it seems like a sound theory. Topicals have also been anecdotally shown to reduce itchiness as well as treat mild skin irritations. In addition to this, they have also been shown to help fight bacterial skin infections, as cannabinoids contain anti-bacterial properties. When applied in certain areas, it has also been shown to enhance sexual pleasure. So pick up some cannabis infused lube with your partner and have some fun! These are just a few of the many things cannabis topicals can be used for, and being a relatively category of marijuana products, new things about them are still being discovered.